One of my most favorite Southern-inspired recipes is Pimento Cheese. 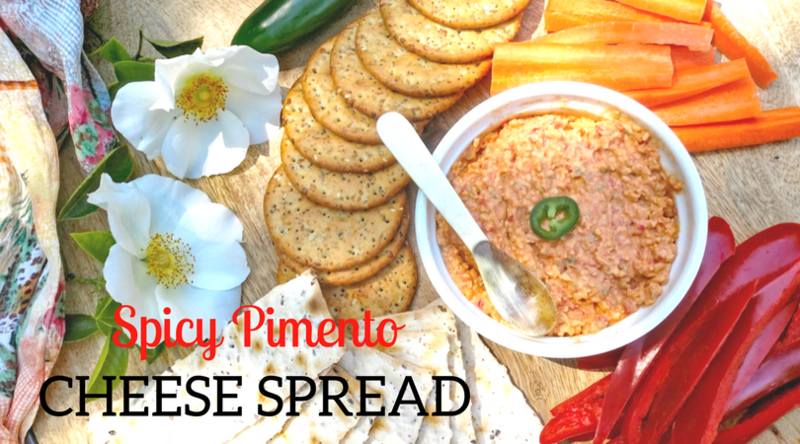 Several years ago, we did a road trip throughout the South and no matter where we went, Pimento Cheese spread sandwiches were on the menu, so it was fun to taste regional differences. 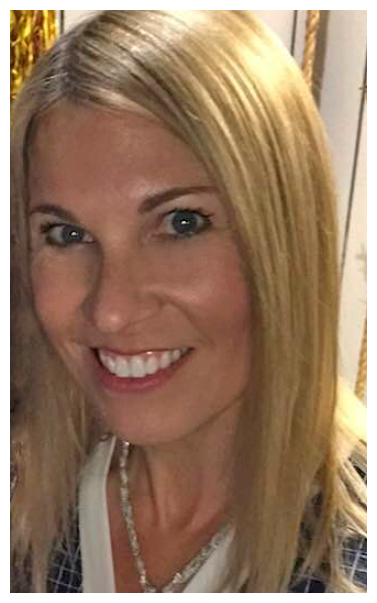 I’ve taken the recipe home with me to Southern California, but made some modifications that I think you’ll love. I have taken out the traditional mayonnaise and cream cheese and substituted in tangy smooth non-fat sour cream in its place. 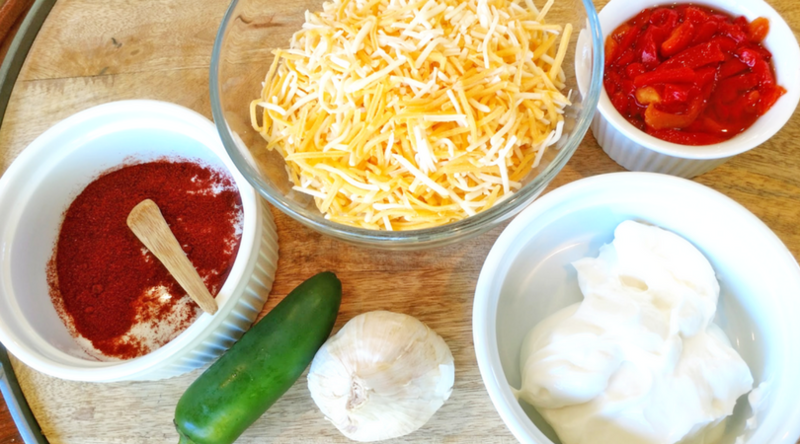 In addition to the non-fat sour cream and low-fat cheddar cheese, I’ve also added some smoky paprika, garlic and jalapeño to spice things up! This is a great spread to make ahead, and let the flavors develop even further. 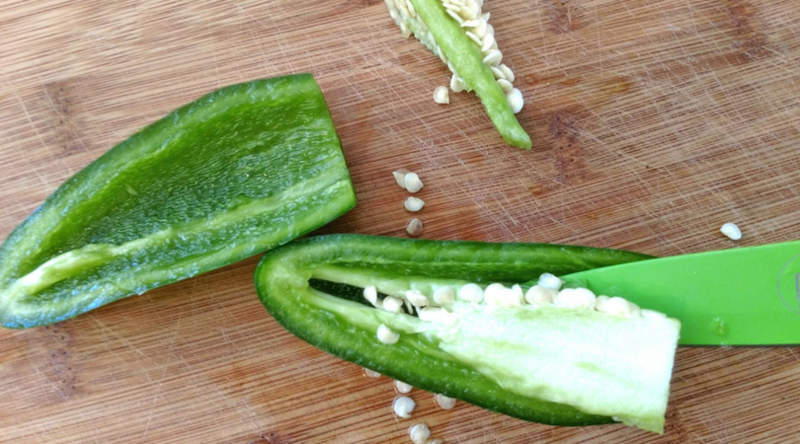 Place de-seeded jalapeno in a food processor and pulse about 8 times. If you like a spicy spread, then leave a few seeds in and that will kick up the spice a notch. As I serve the spread as a snack to my daughter and her friends, I typically de-seed to be safe. 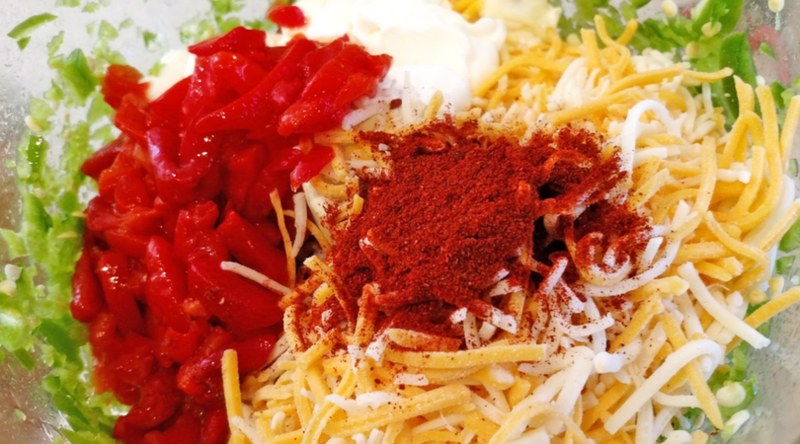 Add in non-fat sour cream, low-fat cheese, paprika, garlic, pimentos and salt. Pulse on and off for about one minute until the consistency of the cheese spread is to your liking. 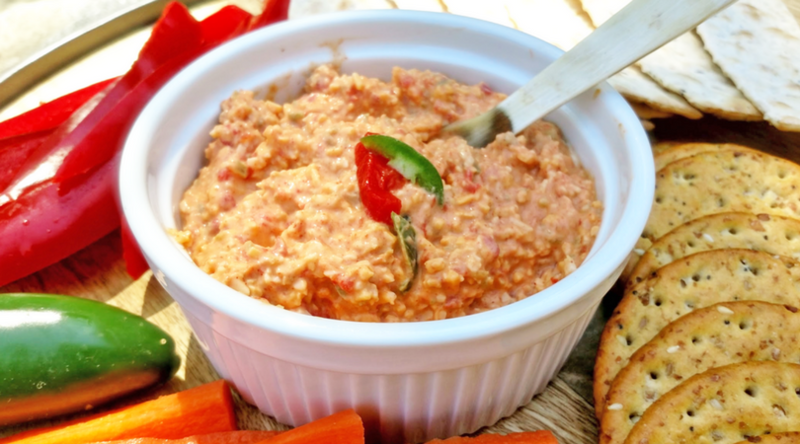 This Pimento Cheese Spread will continue to develop great flavors if it sits overnight in and airtight container in the refrigerator, but it’s tasty served right away as well. Serve with hearty crackers and enjoy! 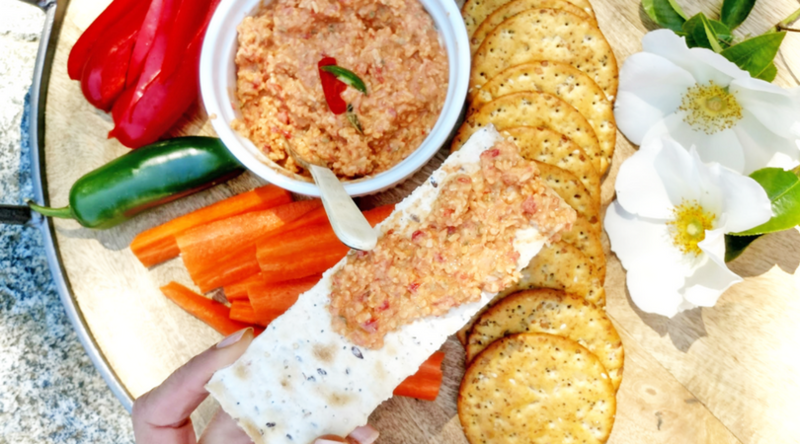 Now that the weather is warming up, make a batch of Spicy Pimento Cheese spread for your next picnic and watch it disappear!